IRVINE, CA — WALKER CONSULTANTS, has returned to Orange County with the opening of a new office in Irvine, California. 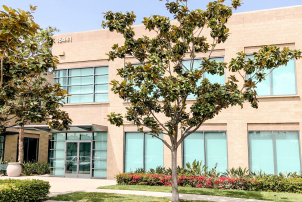 The new office is located at 16441 Scientific, Suite #100, adjacent to the Irvine Research Center, and will offer forensic restoration, building envelope, parking design & consulting, and parking & transportation planning. Walker is well-known throughout Southern California, and has completed many high profile parking design, building restoration, and parking planning projects. Recent projects include the design of two new parking facilities for Hoag Hospital-Irvine, the design of the Westin Anaheim Parking Structure, and parking studies for Civic San Diego, Corona Del Mar and City of Santa Ana.